The Doctor bends over backwards during the Milan pre-show, presenting the new Niken: "I'll use it in summer on the roads around Tavullia"
We are used to seeing him arrive on stage riding Yamaha's latest model. 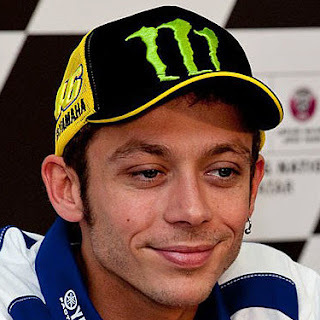 This time though, Valentino Rossi surprised us, appearing at the Yamaha Premiere without a bike to accompany him. A scene that wrong-footed everyone, with the Doctor even removing his motorcycle leathers for the occasion, dressing instead as presenter. #46 was entrusted with the task of showcasing the three-wheeled Yamaha Niken: “In past years I've always arrived by bike - recalls the Italian – this time I take to the stage as Yamaha Ambassador. This brand is part of my life – emphasises the nine-time champion – we have shared many races and many wins together, the bikes are also with me in my personal life, as I often use the T-Max to get around in summer”. There is a special bond, destined to last forever, between the Doctor and the Japanese manufacturer: “Yamaha and I have the same mentality and the same approach to racing - he states – it's a pleasure to be here again with the whole team”. 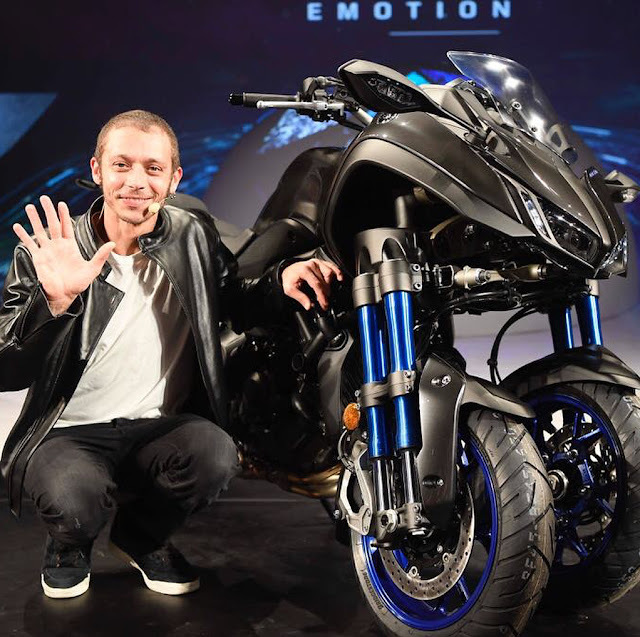 The Niken is the latest bike to be unveiled by Yamaha and Rossi has already had chance to test it: “It's strange at first– he reveals – feeling at the front is different, but you can reach the limit even in difficult conditions. I'll be using it in summer on the roads around Tavullia (he smiles)”. Rossi then bids farewell to the crowd, with just time for the traditional photos before he ducks behind the curtain. his mind is already focused on Valencia, where he will do his best to make up for the disappointment of the Sepang round, just like Maverick Vinales, surprisingly absent from the Milan event.